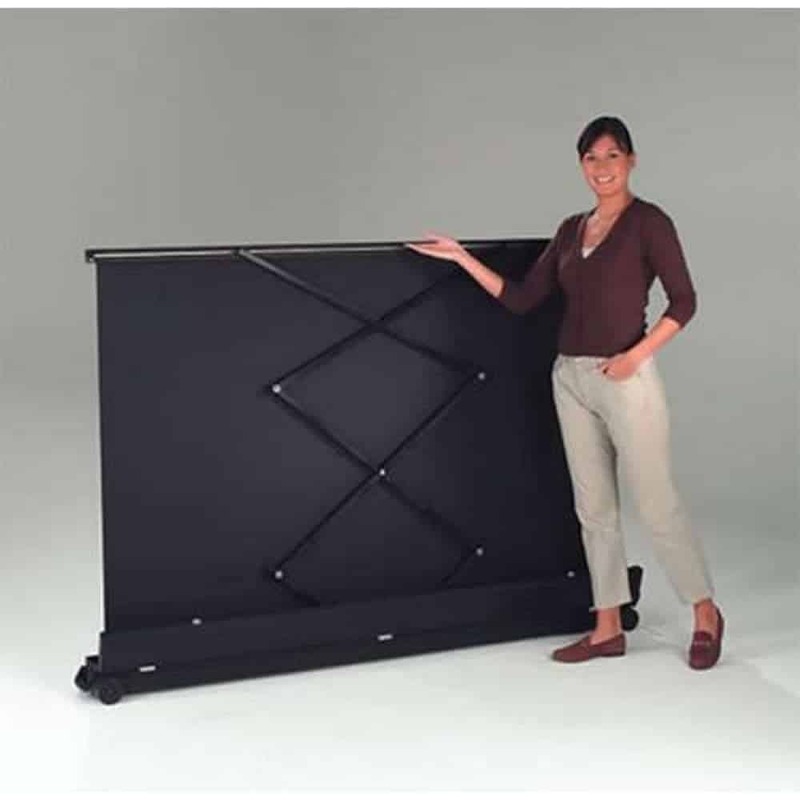 The Vertigo Portable Floor Projector Screen is a lift-assisted floor screen that has a scissor action mechanism that raises the screen to a full height in merely seconds. Simply rotate the feet, unclip the case, and effortlessly raise the screen to the desired height. The feet rotate through 90 degrees, giving the screen stability when needed. It also folds neatly away for storage and transport. To reduce the difficulty in maneuvering the screen, the carrying handle is designed to be balanced whenever the screen is packed away. The matte white screen is durable and has excellent reflective qualities, making this an ideal screen for use in a multimedia presentation. 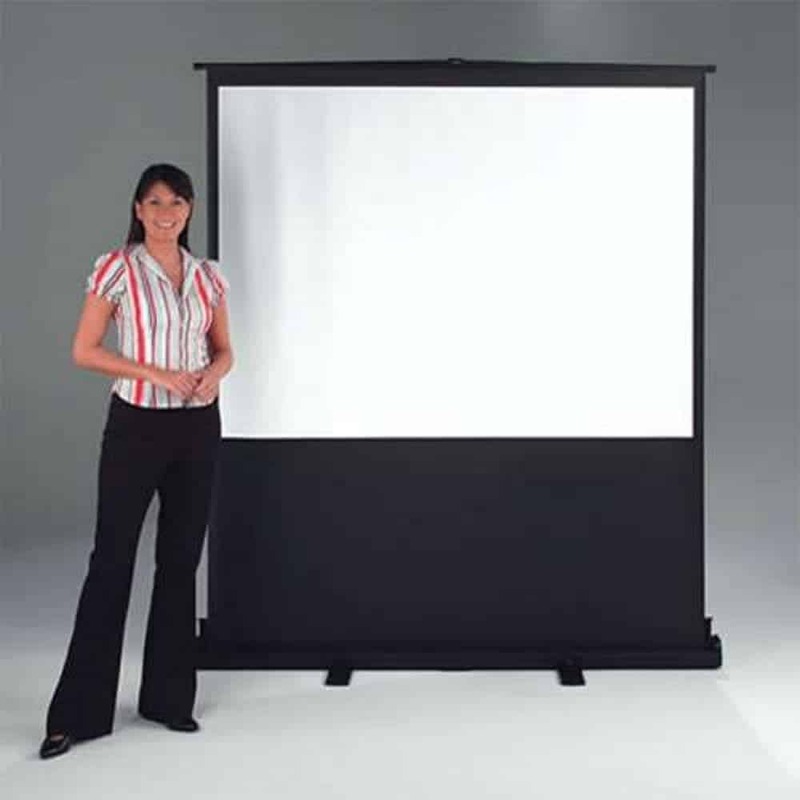 The Vertigo VG6000 and VG8000 Video Format screens can come with option carry bags.